Contoured back stool features a plastic shell upholstered in fabric. 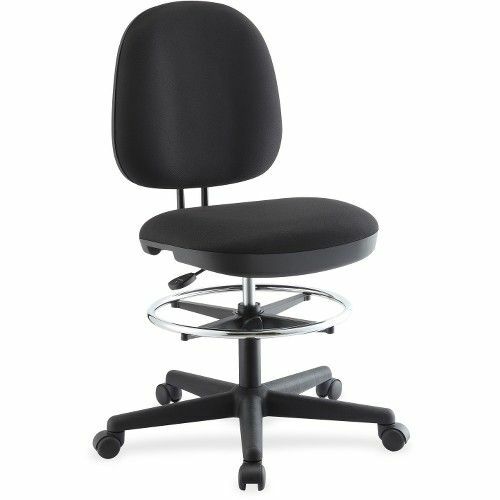 Seat features a fixed mechanism height adjustment without tilting function. Chromed footring adjusts in height for a comfortable position. Shift easily from one worksurface to another with the 360-degree swivel and the casters on the five-star nylon base. Weight capacity is 250 lb. Stool meets or exceeds BIFMA standards.